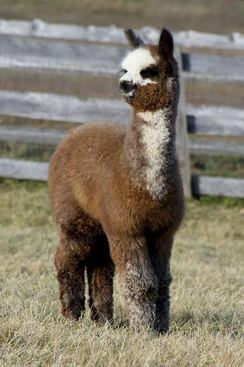 $3,000 Check out all his crias! 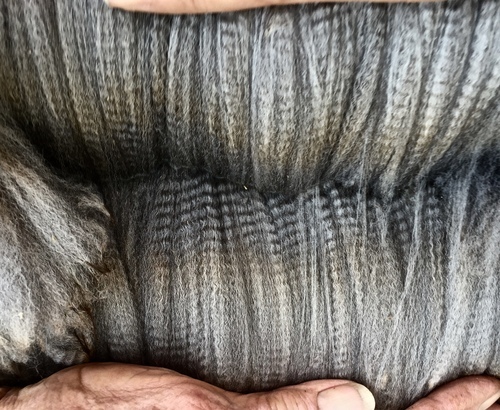 76 mm follicle density 9.3:1 SP Ratio The densest gray ever tested by Alpaca Consulting as of 2017!! This boy is our "Game Changer" in our breeding program. 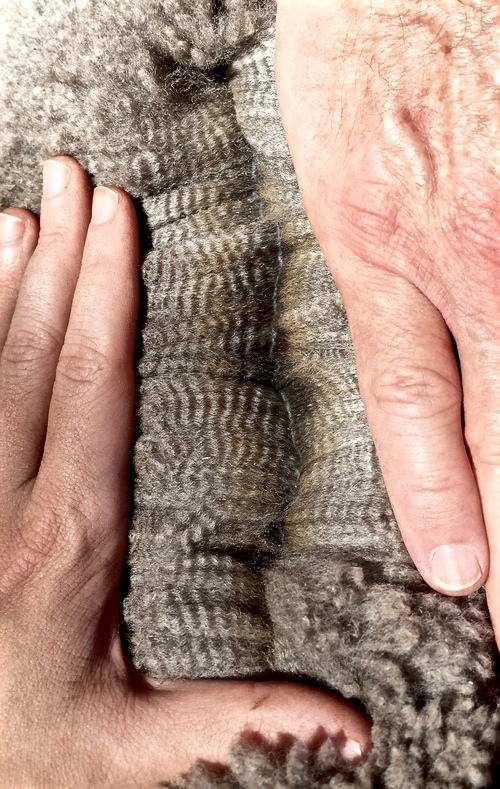 If you were color blind his fleece could compete with even the nicest white. Very uniform in color with a hand to die for. And style? did you say style!!! 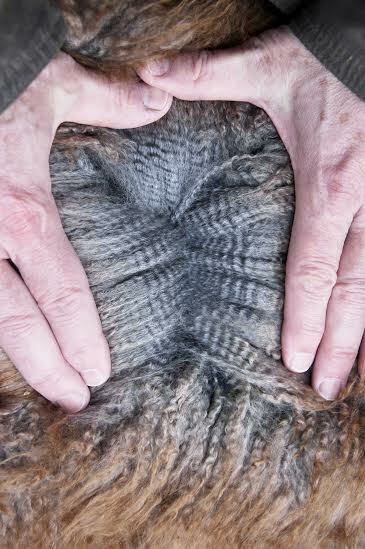 His staple has been an issue in management as his fleece is so long by show season that it is drapey. 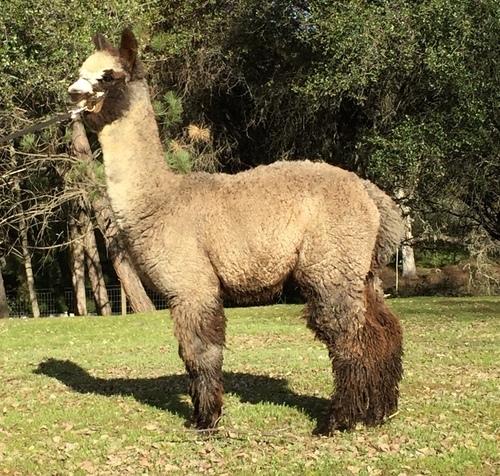 This male is here for the long haul in our breeding program and possibly touts the best gray genetics on the west coast. He is perfect in his conformation, his histogram touts excellent fineness and uniformity. His silver gray color is deep and rich. His phenotype is everything we are looking for. 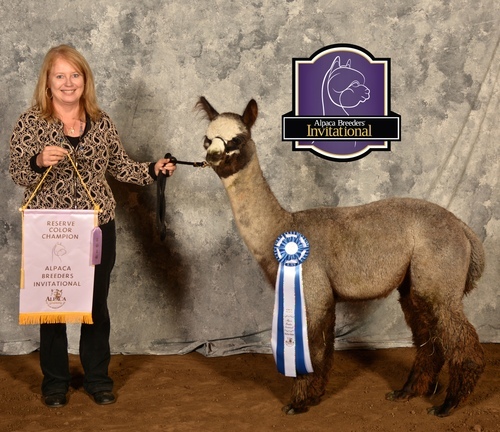 His first fleece is part of the elite A Paca Fun traveling fleece show. Shift is the epitome of the next generation of gray fleece! Contact us to reserve the best decision in breeding gray you may make! PROUDLY CO-OWNED WITH ALPACAS ALL AROUND!